Please tell me I’m not the only girl wishing for endless shopping money! I adore designer looks, but do not have the budget to accommodate those ‘tastes’ most of the time, if at all. 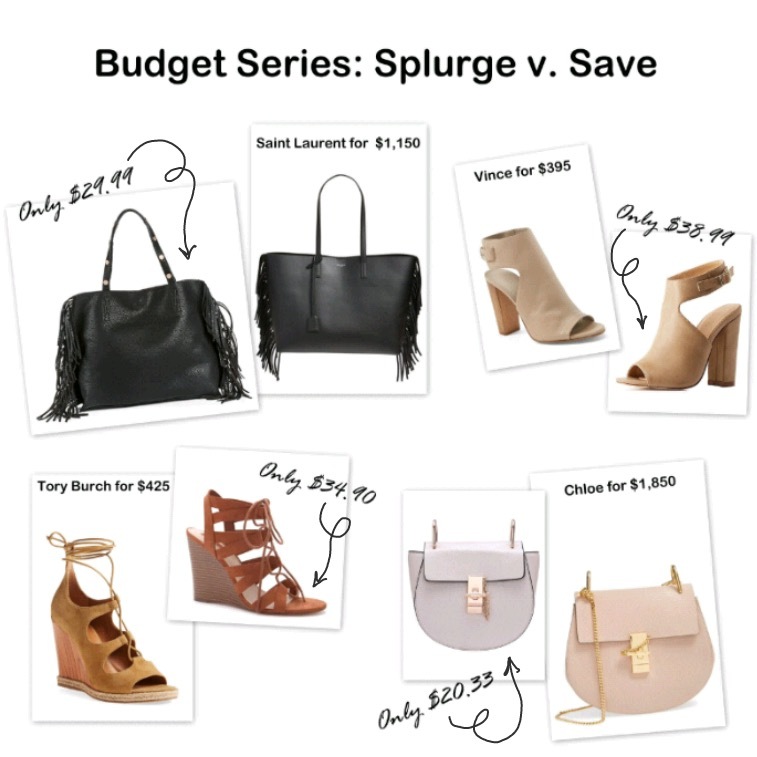 So… today’s budget series is a little different: Splurge versus Save. One of my favorite things to do online is hunt for look-alikes! This is perfect for my usual Wednesday budget series, thus, today I am sharing some popular, trending pieces – both designer brands and budget-friendly look-alikes. It makes me so happy that a girl like me can get an almost identical look for less! You are amazing! How do you find these copy-cat looks?! I just look at the designer pieces and try to find similar ones at places I frequently shop! It’s a fun little challenge!